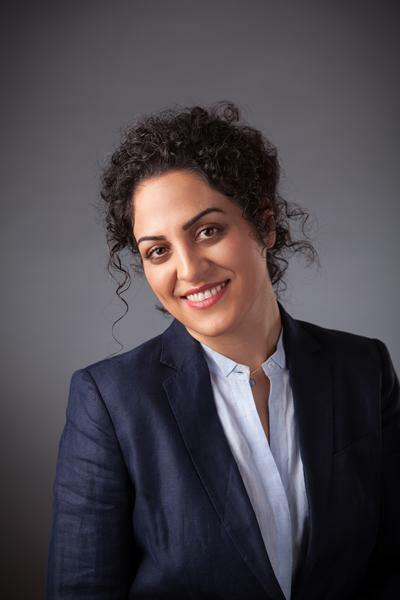 Dr Mina Beigi is an Associate Professor of Organisational Behaviour and Human Resource Management at Southampton Business School, University of Southampton. Mina’s current research interests include work-family interface and success in contemporary careers. Her work has been published in Human Relations, Journal of Vocational Behavior, Applied Psychology: An International Review, and The International Journal of Human Resource Management among others. She serves as the associate editor of Human Resource Development Review (HRDR) Journal (2* journal, Impact factor 2.05). Her research has been funded by a number of institutions including British Academy, College of Education & Human Development (CEHD), Texas A&M University, and Iran National Science Foundation. Prior to joining Southampton Business School, Mina has worked as a Senior Lecturer in HRM at Liverpool John Moores University, as a Research Fellow at Texas A&M University, as an Assistant Professor at University of Tehran, and as an Adjunct Professor at Sharif University of Technology and Allameh Tabatabaei University. I am interested in supervising enthusiastic and hardworking PhD students who are interested in different aspects of work-family interface and contemporary careers. Beigi, M., Callahan, J., & Michaelson, C. (Accepted/In press). A critical plot twist: changing characters and foreshadowing the future of organizational storytelling. International Journal of Management Reviews. Beigi, M., (TRANS.) (2009). Translation of "Institutions and Organizations" by W. Richard Scott. Tehran, Iran: SAMT Publication. Shirmohammadi, M., Beigi, M., & Ayoobzadeh, M. (2018). “Is an academic career good for my family?” Anticipated work-family conflict and the academic career choice. In EGOS 2018 Conference European Group for Organizational Studies. Shirmohammadi, M., & Beigi, M. (2018). Non-sustainable careers and the times of political conflicts: the case of Iranian engineers in the United States. In Academy of Management 2018 Conference Academy of Management. Beigi, M., Shirmohammadi, M., Hedayati Mehdiabadi, A., & Ayoobzadeh, M. (2017). How does teaching an innovative HRM course affect the students’ attitude, knowledge and practice. Paper presented at 18th International Conference on Human Resource Development Research and Practice across Europe, Lisbon, Portugal. Beigi, M., & Davoodian, A. H. (2016). Sharing the mirror: How EI training affects EI trainers. In 17th International Conference on Human Resource Development Research and Practice across Europe : UFHRD Manchester 8-10 June 2016: Leadership, Diversity and Changing Practices in Human Resource Development in a Global Context  University Forum for Human Resource Development. Shirmohammadi, M., Beigi, M., & Wang, J. (2016). That’s just on top of my normal life’: Part-time doctoral students’ experiences at a Research University. In 17th International Conference on Human Resource Development Research and Practice across Europe : UFHRD Manchester 8-10 June 2016: Leadership, Diversity and Changing Practices in Human Resource Development in a Global Context  University Forum for Human Resource Development.